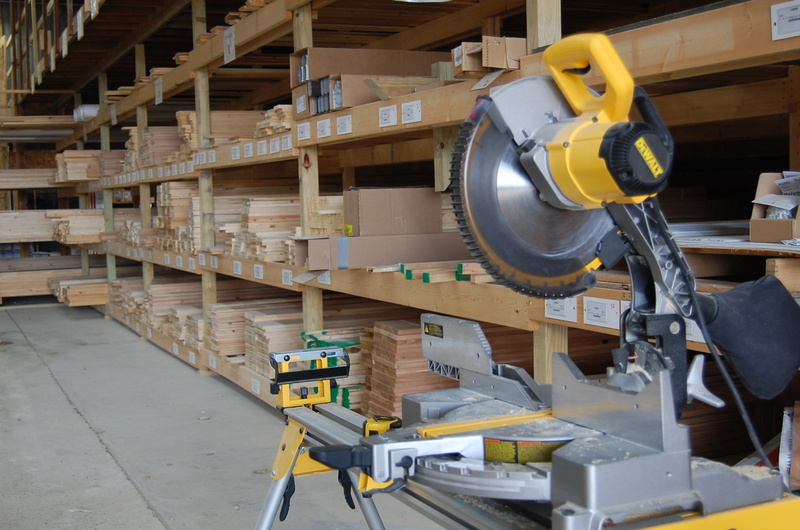 Byron, IL – Spahn & Rose Lumber Co. is your one stop shop for home improvement needs. About Us: Spahn & Rose Lumber Company has been serving the Midwest since 1904, opening the yard in Byron, IL in December 2012. 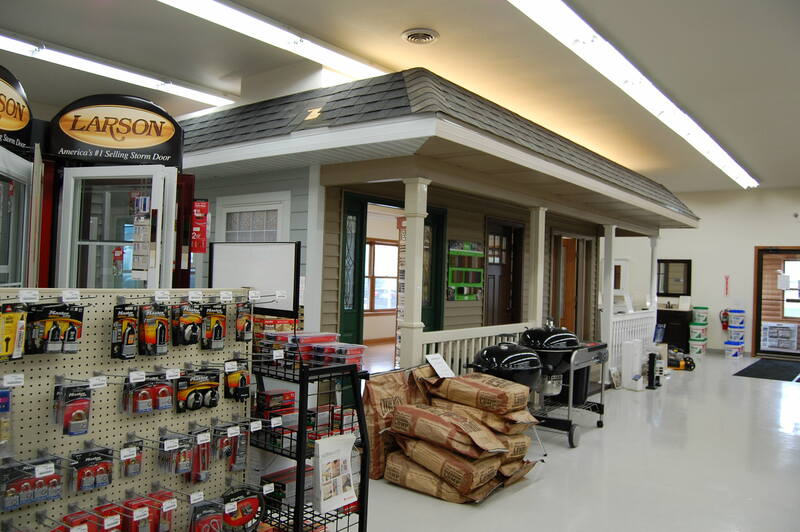 Our Byron yard boasts a display house that showcases many of our quality products. 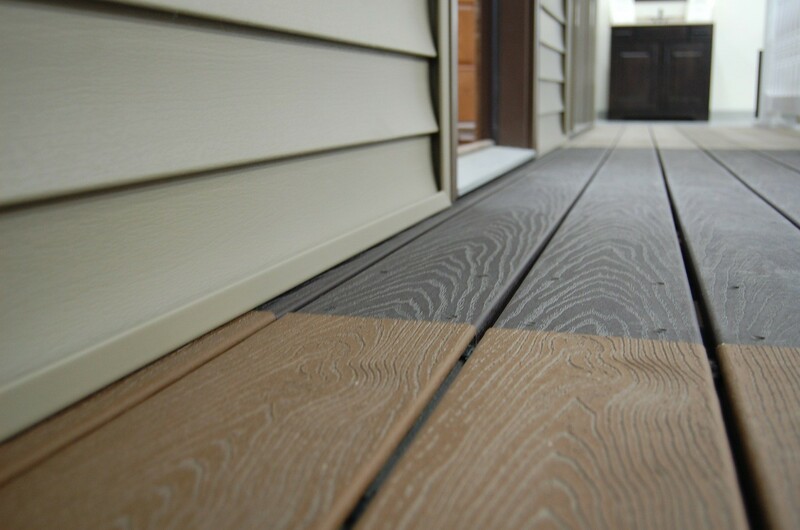 You can see Trex composite decking, and a variety of posts and rails immediately upon entering the showroom. ThermaTru entry doors line the front of the display house, with Andersen windows and patio door installed as well. Inside the display house, you can view our interior door display, a millwork spinner, flooring samples, and Amerock cabinet hardware samples. The outside of the “house” shows siding, soffit, and roofing options. We also have a kitchen and bath display in the front of the store. Other displays include Larson storm doors, Windows by Unlimited, and stock trim and millwork sample boards. We have a Valspar Medallion paint chip rack, and also a paint match tool! Even the front of our building is a Versetta Stone display. Our entry shows off log cabin siding and a car siding ceiling, with an Amerhart display rack. Don’t be fooled by all the lumber, we have a good amount of hardware too! 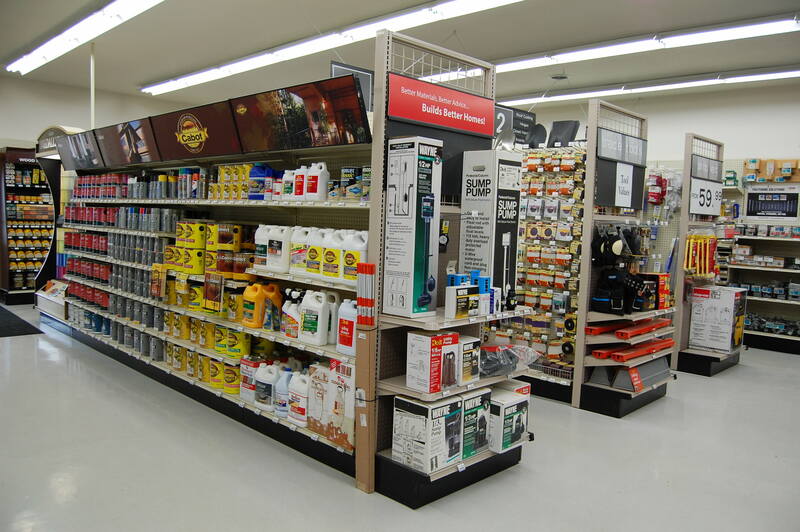 As a Do It Best member, we can order from the extensive catalog of tens of thousands of items, shipped free to the store weekly. Do you need new windows or doors but don’t know how to correctly measure for them? Our staff can stop over and take measurements and provide you with a quote. Would you like to renovate the kitchen or bath? 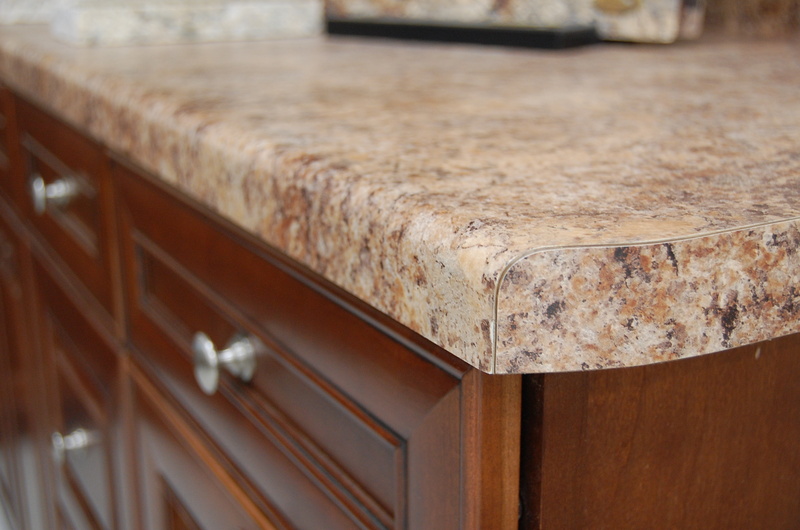 Our designer can do a layout for your new kitchen or vanity and customize it for YOU. Are you a contractor? We do takeoffs, and can assist you by helping your customers in the showroom. Here at the Byron yard, we strive for superior customer service. 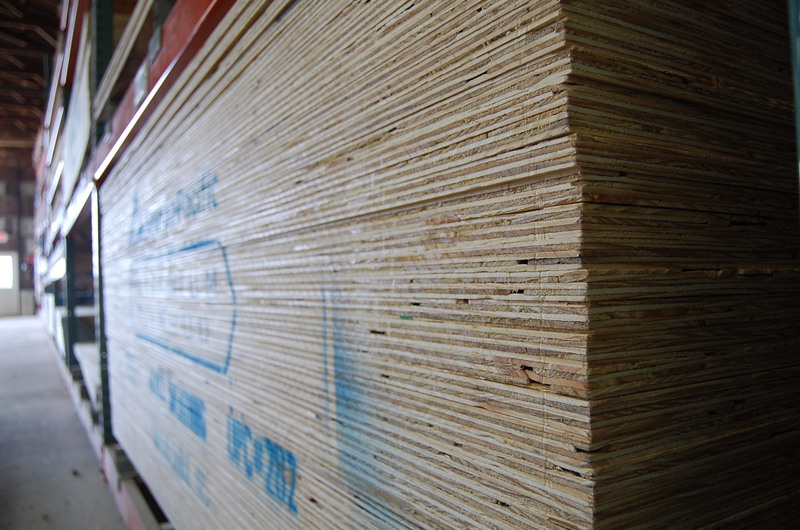 Our service is what sets us apart, alongside our quality lumber and materials. 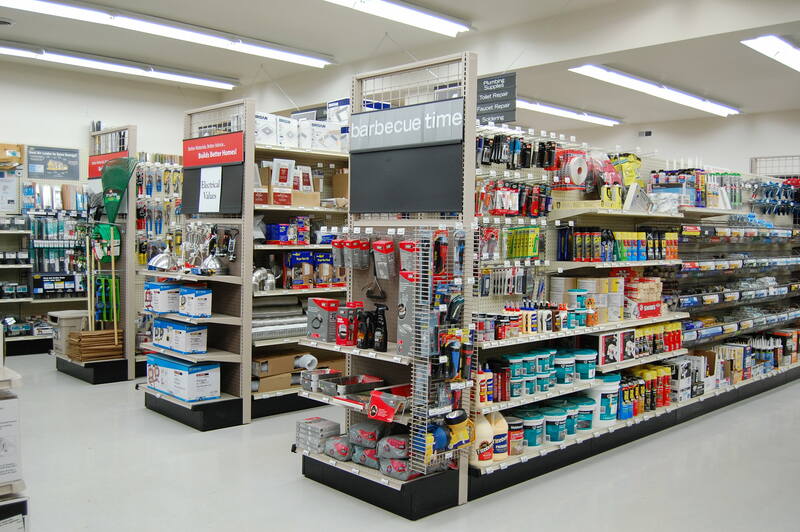 Some of our employees have over 30 years of experience in the building material industry. Let our wealth of knowledge and information work to your advantage. Come in and see us, just north of the tracks on North Walnut Street.